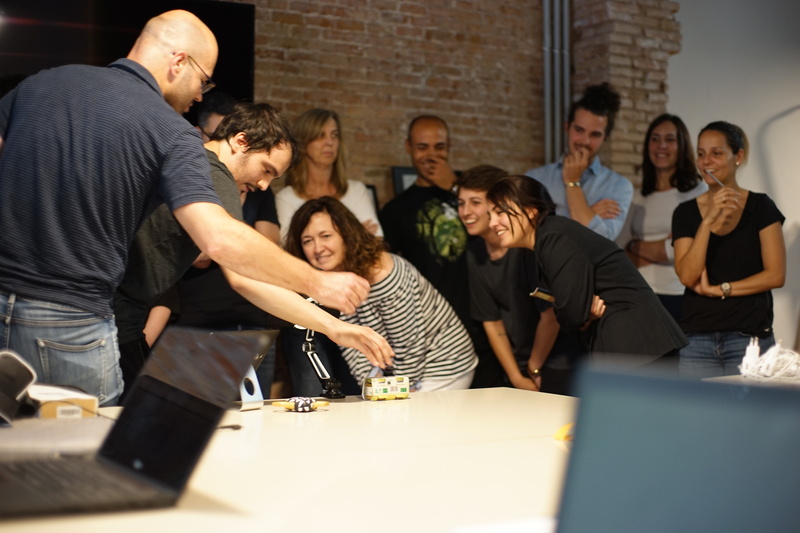 The Barcelona Design Week workshop organized by stimulo offers the possibility of co-creating in real time with customers and end users. 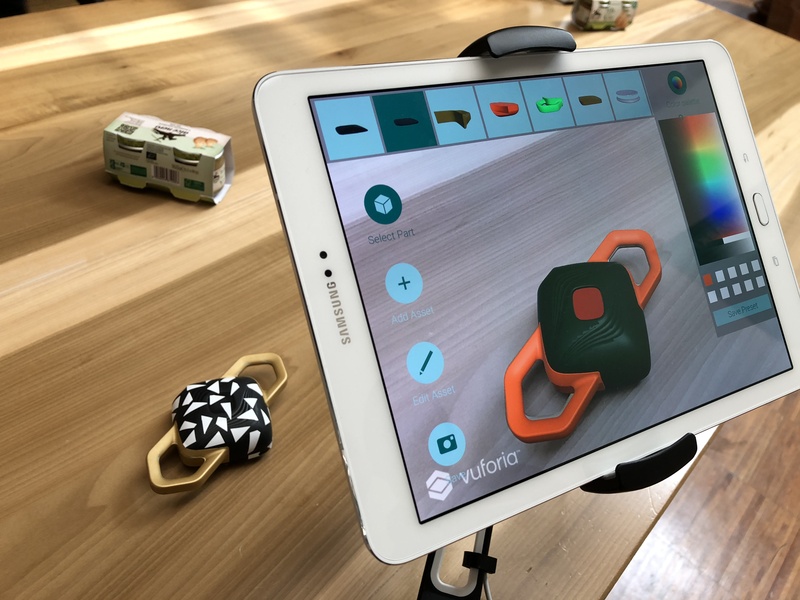 This edition of the Barcelona Design Week was attended by stimulo design in the organization of OPEN AUGMENTED EXPERIENCE, where more than 70 visitors could discover and experience the digital world applied to design. 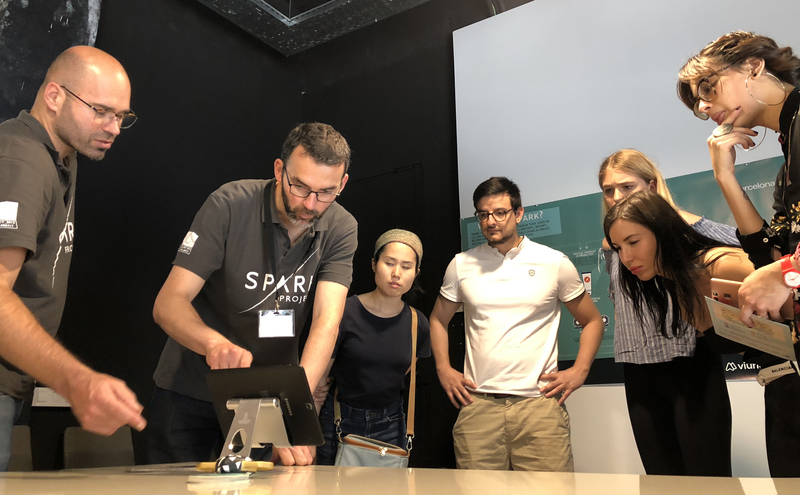 The two days of activities are part of the European project SPARK H2020 in which stimulo participates from 2017 and enters its implementation phase. SPARKH2020 is a Platform of Augmented Reality that fosters the conception of new ideas, especially in the areas of product design and packaging, reducing physical prototyping, streamlining decision making and improving user experience in the environment of creative industries. The user looks at the prototype of the AR version through the camera on the tablet. Collaboration with the SONY R & D department allowed us to install the Concept T technology simulating a store shelf, with all the packaging of competing products, to compare in real time, the reaction of users of the our design proposals. This area, together with the multi-touch screen, captured the main interest of the “new” designers, confirming that the user experience is becoming more and more positive in a digital environment. Discover this and another interesting activities @ Barcelona Design Week 2018 from 5 to 14 June. Stimulo at the prestigious Milano Design Week. an effective tool for co-creation.